As an Associate with KBRS, Stephanie is committed to providing outstanding results and service. Her strategic approach is informed by her experience as a leader in her own right, as well as her work with a global executive search and leadership assessment firm where she was an Executive Director based in Toronto. Skilled in navigating complex, multi-stakeholder environments, Stephanie has a track record of successfully placing senior leaders while creating exceptional client and candidate experiences. Her executive search career includes projects within the financial services sector, including asset management, banking and real estate, with numerous high profile assignments in both Canada and the United States. 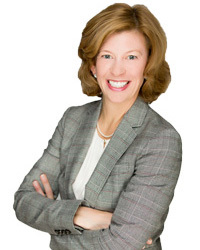 Before becoming an executive search professional, Stephanie was a Partner in the Toronto office of a national law firm, where she practiced public company securities law for over a decade. While there, she played a lead role in management and recruitment for the firm and founded an initiative to boost the development, performance and retention of female lawyers. Previous to this, Stephanie worked on the management-side of labour law with an Atlantic Canadian law firm based in Fredericton. Stephanie is a member of the Law Society of Upper Canada, the Canadian Bar Association and the Ontario Bar Association. She holds a Bachelor of Laws degree from the University of Ottawa and a Bachelor of Business Administration degree from the University of New Brunswick. Stephanie was also an exchange student at the European Business Management School in the United Kingdom during her undergraduate degree. Stephanie resides in Toronto with her husband and two children.